The Geriatric Care Manager’s or aging professionals job after a home safety assessment is next to see if changes can be made. How do you do this? The first step would be to present findings of the home safety assessment to the older person and their family or legally responsible party and show them plans to make changes. If dementia is involved or an older adult is conserved or has a guardian, this also may be presenting only to the family or legally responsible third party like a trust officer or power of attorney for finances. The GCM or aging professional also may be suggesting the expenses for the home modification. If home modifications for safety are simple, then the geriatric care manager or aging professional can come up with a budget. If complicated like ramps, renovating bathrooms or bathroom safety alterations suggest a bonded and licensed contractor or home handyman. All this information should be in the GCM or aging professional ‘s continuum of care database. If the older adult is resistant, then the GCM or senior professional will have to help older person through resistance. This may take time and a little repair at a time. If there is resistance among the family or with the older person, consider holding a family meeting in person or in a conference call. The agenda can be to discuss the need for home improvements, mediate with family members and how the older client could both accept them and stay safe at the same time. In a family meeting you can form a family team to work on home modification together, convincing the older parent this is necessary, figuring out a schedule, getting bids from contractors, eliminating immediate safety risks that are easy like throw rugs, hoses on the sidewalk, clutter. Having family meetings throughout the process can heal old wounds, share the tasks that need to be done, because it takes a village to jointly support your aging family. 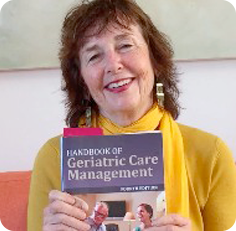 This also takes the on – going support and guidance of a geriatric care manager or aging professional. Be sure to tell his or her social supports if older person refuses and there are dangerous home safety issues. Finally. Refer to APS http://www.napsa-now.org/ if safety is a real danger and safety improvements that put the older person at risk are not going to be made. Filed Under: Aging Tagged With: activities of daily living- mobility, adult protective services, aging parent crisis, bonded contractor for home modification, bonded handyman, Care Managers Working with the Aging Family, caregiver overload, case manager, checklist for aging parent problems, elders and fall risks, extended family, falls and seniors, falls and the elderly, family meeting, Functional Assessment, geraitric care manager, geriatric care management, Geriatric care management operations manual, home modification, home saftey assessment, mediator, NAPGCM, National Assocaition of Geraitric Care Managers, power of attorney for finances, reporting falls tp Dr.